What is Carbon Monoxide Poisoning and Why Is It Dangerous? Carbon Monoxide poisoning happens when you breathe too much carbon monoxide. Carbon monoxide is a gas produced by burning any type of fuel/gas, oil, kerosene, wood, or charcoal. What makes this gas so dangerous is that when you breathe it, it replaces the oxygen in your blood. Without oxygen, the cells throughout the body die and organs stop working. You can’t see, smell, or taste carbon monoxide. But if you breath too much of it, it can become deadly within minutes. 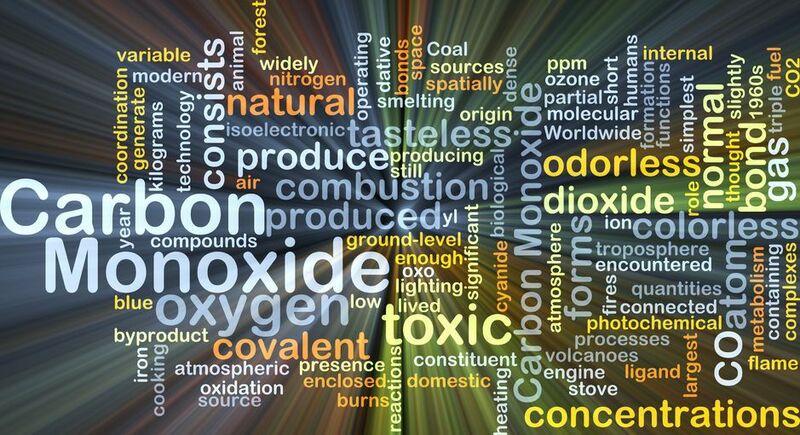 Carbon monoxide can come from any source that burns fuel. Common sources are cars, fireplaces, powerboats, woodstoves, kerosene space heaters, portable generators and gas appliances, such as water heaters. The problems come when cars, trucks or other engines are left running in enclosed spaces, such as garages or other enclosed areas. When fuel-burning appliances are not installed or used properly, dangerous levels of carbon monoxide can build up inside houses and other buildings. Fuel-burning heating systems and appliances are used during cold weather, when doors and windows are likely closed. Chimneys in old buildings can become blocked and release fumes into homes or offices. 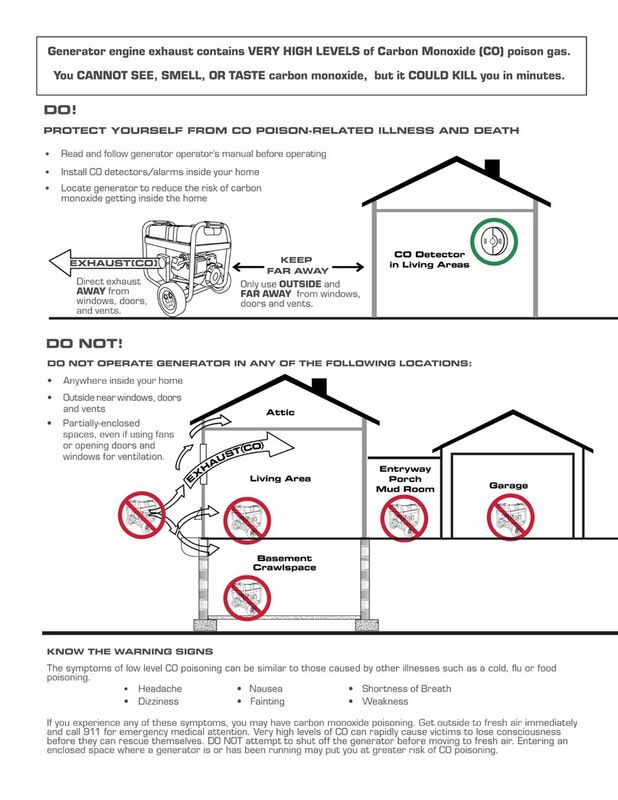 Newer houses that are well insulated and tightly sealed can trap carbon monoxide inside. To protect against carbon monoxide poisoning, always place a portable generator outside and away from windows and doors. That means never running your portable generator inside the home, garage, shed or basement, where emissions and gases can build up and linger for hours, even after the generator has been shut off. Read and follow the operator’s manual closely before operating your generator. Locate the generator outside of your home and far away from windows, doors and vents. NEVER LOCATE A GENERATOR INSIDE YOUR HOME OR GARAGE. Direct exhaust away from windows, doors and vents. Do not operate a generator in partially enclosed spaces, even if using fans or opening doors and windows for ventilation. Install CO detectors/alarms throughout your home to ensure you are aware of the presence of CO gas. You cannot see, smell or taste CO.